Since April 2016 I’ve joined the Olympus Visionary team for Olympus Imaging Australia. As a photographer it’s always a huge deal to be able to closely work with a camera company. First of all there’s the gear. Who doesn’t love sponsored gear right?! But to me it’s more than that! It’s the ability to be part of this bigger thing. Shape it and one day to be able to say: this change happened because I was part of it. This story begins about 2 years ago when I decided to switch camera brands. As a photographer that’s a big deal! You’re invested into a system, lenses (used to) fit only one brand of cameras, the camera gear loses value and you’re just on the train with one brand. Why the hell would you switch? You’re going to lose money by doing so. So yes, it’s a big deal to switch families and there’s gotta be a good reason for a professional to do so. The gear I was using back then (Canon 1D Mark IV, lenses, housing…) weighed over 20KG. And with long term travel plans in mind I was looking for a solution that would allow me to fit everything into one big and one carry-on bag. The exact same focal range in lenses and comparable specs of the E-M1 back then would weigh slightly over 10KG. And would use less than half the space! Sorry Canon, but look at the other camera companies today. 2 years ago I felt like I was on a sinking ship. Just squishing more Megapixels into bodies and producing slightly sharper lenses wasn’t going to cut it for very long. Everything out there is getting smaller and lighter: phones, computers… why do I need to walk around with a massive, expensive looking camera when a half sized equivalent can do better? I felt like Olympus had reached a point of maturity and reliability I could get the job done with. As a relatively young and inexperienced photographer I was looking for opportunities. I wanted to work with a brand, companies… wanted to be sponsored! Back in 2014 there was no one using Olympus mirrorless cameras to shoot surf. And the day I saw the Olympus PT-EP11 underwater housing for the Olympus OM-D E-M1 it sparked. Yes it’s a dive housing, yes no one could tell me if it would hold out the pressure of a smashing wave. BUT I knew there was an opportunity there. I went ahead and sold ALL my Canon gear and switched over to the Olympus E-M1 and PT-EP11 housing. I knew that if I was going to be working with Olympus I needed to document my story and plans somewhere. I started writing about it all on my blog. The ups and downs, the thoughts, the tests, the first impressions, the comparisons… everything. Being the first do be doing/using something is always a good starting point. I knew that if the E-M1 and the housing would work for surf I could very soon have a collection of work no before me would have to show for. This was going to be my golden ticket! Initially I bought the Olympus OM-D E-M1 and M.Zuiko 12-40mm f/2.8 PRO with the Olympus PT-EP11 underwater housing. That was my starting kit. With the M.Zuiko 40-150mm f/2.8 PRO to be released I made sure I was going to get one of the first copies of that lens in Australia. On the wide end I got the Panasonic LUMIX 8mm f/3.5 fisheye (Yes, Canon, cross brand compatibility!) and imported a glass dome port from the USA by ZEN Underwater – the ZEN DP-100-EP08 100mm Dome Port. I had it all covered. From fisheye to 300mm equivalent. Olympus Imaging Australia is a surprisingly small part of the Olympus Global group and it definitely never felt like I was just a number or unknown person to them. I attended shows and product presentations and I soon got to know a few people at Olympus AU and kept sharing my work and feedback with them through social media while I kept on blogging about my progress with the new camera and lenses. After a few months I felt comfortable enough to send my big pitch. I collected my numbers, blog posts, ideas and most importantly plans for the future and sent Olympus an epic email. Upon which they invited me to a meeting. I’ll never forget when I saw it printed out at the meeting: 5 pages. I went overboard… but I guess it worked. Yes I didn’t have the big blogger numbers neither the massive social following, nor the huge client list, but solid determination. 2015 I wanted to shoot surf as well as expand my portfolio beyond the ocean photography I had been focussing on so much. I scored an internship with Chris Burkard at the end of 2015 which was my ticket out of Australia. I planned my 2015 projects around the internship and travel plans before and after that and sent an ambitious list of 6 projects to Olympus. This was going to be my test year. I received a bit of financial support and one lens from Olympus. I was over the moon! My first ever free camera gear! By the end of 2015 I had done all but one of my 6 projects and besides the financial contribution by Olympus everything was self funded. I knew that if I wanted people, brands and companies to work with me in the future I had to show a solid body of work and a dedication to what I do. I believe that this only happens by actually going out there and shooting. 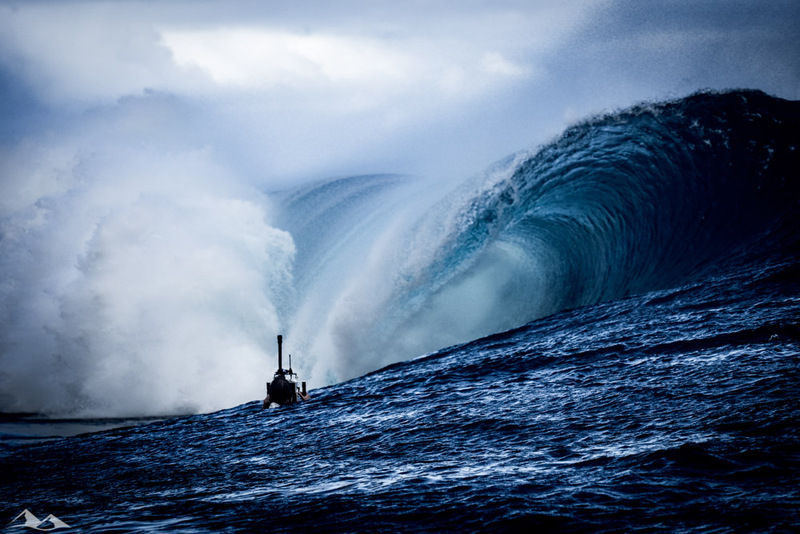 I had shot pro surfers in my dream surf spot on Tahiti, worked for one of the most inspiring photographers I knew to date: Chris Burkard, followed the PRO surfers around 2/3 WSL events (Quiksilver PRO and RipCurl PRO) in Australia and expanded my work into adventure, outdoor and travel photography as well as videography. I felt like I was in the right position to approach Olympus again for 2016. In April 2016 all details were finally cleared and I was onboard as an Olympus Visionary. With more support towards projects and the full arsenal of M.Zuiko PRO lenses and the latest camera bodies in my bag I couldn’t be better equipped for the months and years to come. Obviously A huge thank you goes to Olympus for the amazing support! As you hopefully realised by now: there’s no easy road. It took a long term plan, 2 years of work, countless hours behind the camera and in front of the computer and the right people to make this happen. But it has been a very exciting time and I can’t wait to see what the future has on offer. I couldn’t be more grateful for the way things have worked out and to the people I have met along the way. 2016 has been a crazy ride so far and with 4 more projects in the next 3 months alone I’m about to dive into more photo and video work than I’ve ever done before. But with destinations like Iceland, the Faroe Islands, Scotland, France and Australia I couldn’t be more excited about what’s to come! If you have any questions or comments please don’t hesitate to send me an email or just comment below. I’m always happy to help. So, what's a Visionary's job? Now, as an Olympus Visionary my job is… well… “keep on doing what you do” they told me. Ultimately I represent a camera brand and have to somehow sell cameras and lenses for them. Instead of saying: hey buy this camera… my approach is the more indirect way by sharing my best possible work online and showing what I’m capable of doing through the tools Olympus has given me. Which is also why I will be publishing blog posts about the lenses I use and when I use them as well as new video content. So stay tuned. And if I’ve inspired you to go out and use an Olympus camera to capture your adventures then I’ve absolutely achieved my goal and I owe you a big Thank You for letting my images inspire you! I’ll also be working on Workshops together with Olympus AU as well as more Behind The Scenes video content showing you how I approach my photography work while out in nature. Stay tuned for that too – and while you’re at it check out my social channels to find daily updates and news. Great story, Chris. As a retired pro, it’s nice to see that passion and hard work remain in our choosen field. Great work on your website – no reason to retire. You’re never too old for photography! Congratulations! I started following you a while back when I found your blog while searching for others who were using the E-M1. I have it myself along with the 7-14mm Pro, 12-40mm Pro, and 40-150mm Pro. All that is missing is the 8mm fisheye and the 300mm Pro. I would love to try out the PT-EP11 but I just can’t justify owning it since I doubt I’d put it to too much use even though I live 30 minutes from the ocean myself. If my kids surfed instead of play baseball and cheerleading, it would probably be a great investment. I have been using my E-M1 for a lot of outdoor sports. Maybe I could approach Olympus the same way you have. I haven’t seen too many sports images taken with the E-M1. Thanks so much for your comment. When I became a Visionary Olympus gave me all the PRO lenses so I recently sold the Panasonic LUMIX 8mm f/3.5 fisheye and must say, I haven’t used the M.Zuiko fisheye much yet – but it’s a hell of a lot sharper and has considerably less comatic aberration. Can’t wait to take it underwater when I get near the ocean again! Definitly go ahead and approach Olympus with your work. You never know – you might be the right person for an upcoming job! Fantastic story of dedication and belief in what you are doing and what you want to achieve. You are totally committed and I applaud your determination. Like you I sold my beloved Nikon gear to move to a lighter kit for travelling and underwater photography. Olympus has certainly upped the anti and I look forward seeing more of your impressive imagery. 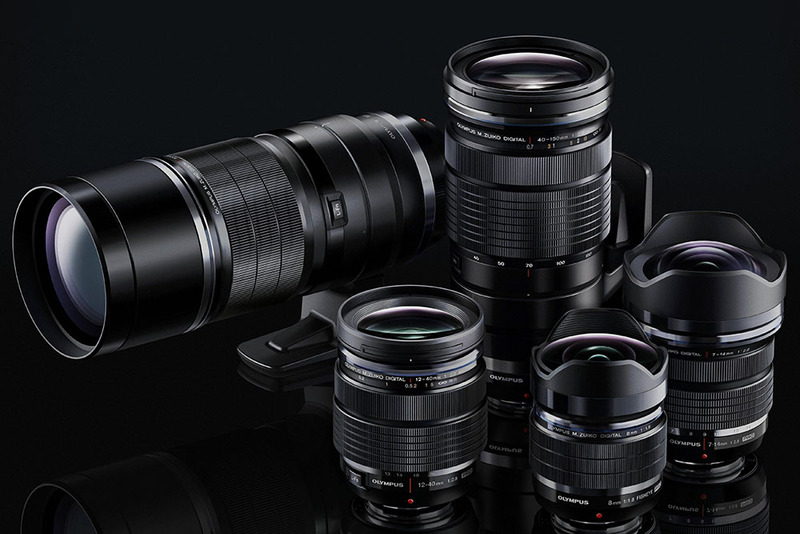 Very much agree about the Olympus equipment being up there with the ‘big boys’ now. And I’m also excited to see what the future holds. The start to your story is similar to mine where I was fed up with lugging around my Nikon gear – or, after a few years, half my Nikon gear whilst the rest sat at home. A waste. So I sold up and jumped to Olympus starting with an em-10 and buying, then selling, a multitude of lenses before reaching where I am now with an e-m1, a 12-40 pro, a 40-150 pro + TC, a 7.5mm FE and a 30mm f1.4. Everything fits in a sling. The first time I shot anything with m43 was my son – I was blown anyway by the speed of focussing, the accuracy and the details. Why had I been messing around with a DSLR for so long ? The future ? I’d love a 7-14 pro as the FE I have is great fun but a little restrictive at times. Maybe a 1.2 prime when it’s released in autumn / winter ? Just to show CaNikon that m43 can do subject isolation too 🙂 Then there’s the e-m1 mkII coming which promises to be amazing. And who wouldn’t want to be an Olympus Visionary ?? Thanks for your comment Damian! Sounds like we have a similar story and it’s definitly not the first (and hopefully not the last) time I read a story like this one. These little OM-D’s really do an amazing job and – heck! everything else is getting smaller and smaller – why shouldn’t the cameras do so? There’s no benefit in a bigger / heavier camera! The 7-14 has quickly become one of my always-on lenses! Absolutely love it and can only recommend it! 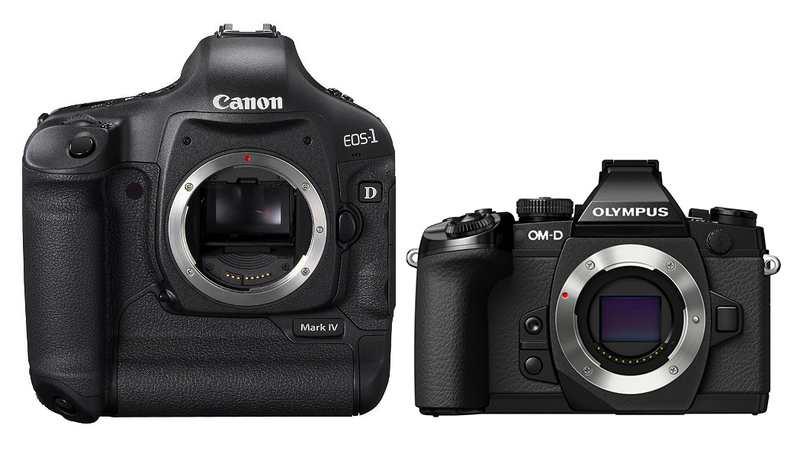 The 1.2 primes do look promising – I really hope they don’t come at a too big of a weight increase though. An absolutely brilliant post and it gives me hope that one day I too can approach Olympus. 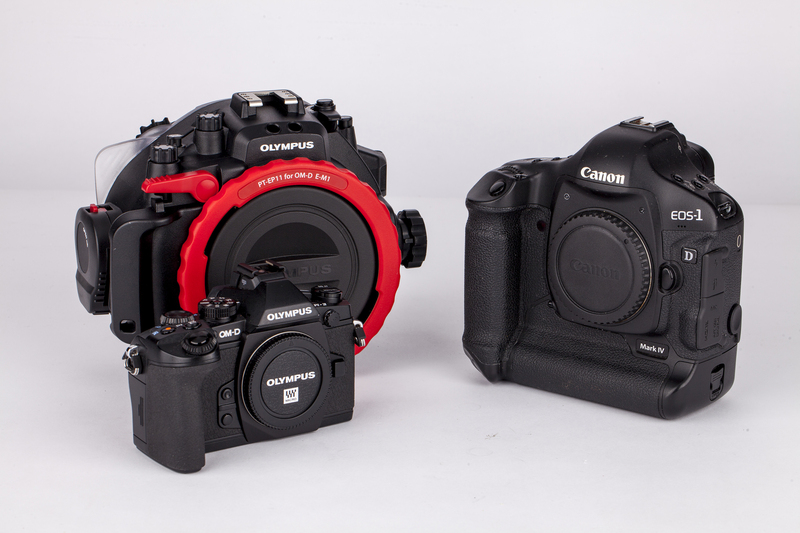 Love their gear and recently took two of their cameras to Europe with three lenses. They never left my side for two months. So impressed! Great to hear a success story and admire people who follow their dreams. Life is a gift and photography enables us to share that with others. Thanks for your comment Marie – I’m glad to hear that my story inspired you to one day approach Olympus! My EPL1 has opened up a whole new world for me regarding storm photography. This humble 12mp wonder seems capable of capturing anything i ask it to. People see my daylight lightning shots and ask “What kind of trigger are you using?” i hold up my finger and smile. It also performed amazingly on a recent trip to India. All i took was the EPL1 and a Zuiko 14-150 zoom. I’m still blown away by the quality of the images i got. I’ve never actually used the EPL1 – but I’m glad to hear your positive feedback about it! Maybe I should give it a go one day? The 40-150mm is definitly a great lens. You can’t beat the size and weight for the reach and performance of this one. It’s ALWAYS in my bag ready to be used – I never leave on a trip without it! Funny how I’ve been contemplating about trading in my Canon gear for Olympus for months now. I purchased the OMD- EM5 and I love this camera. From the retro body style, fast shutter and the list goes on. Your story definitely inspired me, it was like I was reading what I should’ve done long time ago. There are some limitation with the OMD- EM5 but I’m gonna make the switch. I’m literally at a 4-way stop in my career as a pro photog and this change would be exactly what I need…… I want to continue loving what I do for a living. But being a studio owner I have to have the confidence that I will get better photos with my lighting systems. Thanks for follow on IG and thanks for this amazing and inspiring story. Great story and very interresting. Thanks for sharing. I hope you’re just at the begining of a awsome story with Olympus. Awesome story Chris. I just found your episodes on Youtube and started following you. We’re using pretty well the same kit although I do it on my own dime. Someday I’d love to be an Olympus visionary but with a full time job and only a bit of time for photography I’m not sure that would happen. I made the leap to Olympus from full frame and APS-C Canon ownership and for pretty well the same reasons that you outlined here, size, no innovation and it proved to be the best decision I could make. Have fun shooting and keep those photos and videos coming. Thanks for your comment and kind words about my work. Great to hear from a fellow Olympus shooter! I checked out your work. Beautifully balanced HDR shots. Keep it up on your end too! I’ve been shooting with the E-M1 for almost 3 years and have the mk II on ore order although with the price increase that is still up in the air if I’ll get it. I love the way the Olympus cameras feels and the quality of and size of the lenses. I use HDR occasionally but mostly it’s just the sliders in lightroom, still learning on that end. Have fun shooting and travelling and if you’re ever in eastern Canada area let me know. I’d love to get down under again in the near future but who knows. WOW! its amazing to hear the being the scenes of becoming an Olympus Visionary. I use Olympus gear and I am very interested in connecting with Olympus and maybe becoming an Olympus Ambassador of some sort. but I am just curious, in the beginning, you said you had to pay for travel expenses your self to get your self out there. If I may ask, how much did it take to get your self out there? just so I may have an idea of how much it costs to do something like this. Great to hear that you found it useful. It’s a bit difficult to answer you question. It all depends on what your subject is. If you like shooting travel and adventure, then it obviously costs more than shooting urban or portraiture. Also, being an ambassador doesn’t directly mean all your expenses + income are covered by Olympus. I might do 1 or 2 projects per year which are in collaboration with Olympus. All others are self funded or for other clients. If you google Olympus Visionary Program you can actually find info on the program and what Olympus is looking for for potential new Visionaries and how you can apply for it.